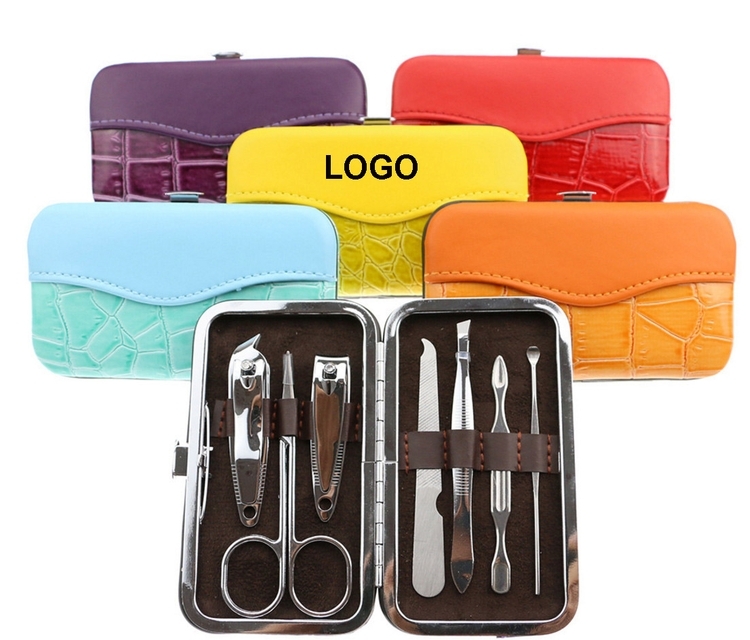 7pcs of manicure tools, including: 1 Nail Clippers 1 Cuticle Trimmer/ Clippers 1 Multipurpose Scissors 1 Ear Pick 1 Eyebrow Tweezers 1 Cuticle Pusher 1 Nail File. It is designed with portable size , convenient to carry. And you can put it into almost any handbags or shoulder bags easily. 4 2/5" x 2 1/2" x 4/5"
Package: 1 pc/opp bag, 120 pcs/ctn, 28 lbs/ctn. Imprint Size: 2 4/5" x 4/5"